119 Sutherland Avenue has served the North Point Douglas community for over 100 years. The former All People’s Sutherland Mission (1908) was renovated in 2009 by its current occupants, the Manitoba Indigenous Cultural Education Center (MICEC). Many people will also recognize it for it’s distinctive wood carvings outside and the beautifully renovated interior. 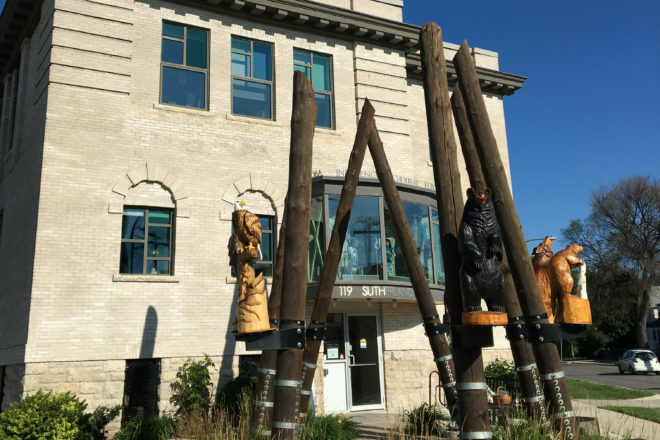 MICEC continues to serve the community through the programs and services that includes over 10,000 items in the library and over 600 pieces of indigenous artefacts. Visit us to learn more about the original building, the renovation and our work to educate about indigenous people. Guided tours will start every 60 minutes between 11:30am and 3:30pm, lasting 20-30 minutes, maximum 10 participants.